As principal investigator at the Harvard School of Public Health, Max Essex, was recently awarded $20 million to study HIV prevention in Botswana – a meager reward for the man who played a pivotal role in creating the current conceptual model of the HIV / AIDS epidemic, compared to the billions distributed annually . Essex’s erroneous research spawned the theory that HIV originated in African monkeys. This misconception is critical because the concept is a pillar for the fallacy that HIV / AIDS is endemic in Africa. In 1985, it was Essex and his team of investigators that “discovered” an “AIDS-like” virus in the blood sample of wild-caught African green monkeys (AGM). This “AIDS-like” virus eventually came to be called SIV, the Simian Immunodeficiency Virus; even though it did not cause immunodeficiency in African green monkeys . 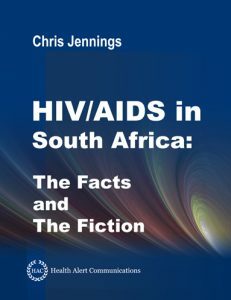 AIDS was a hot topic at that time; the discovery of SIV by the Essex team was instant front-page news worldwide. Both scientists and the public were striving to make sense of this terrifying mystery, and the impact of this initial media acclaim continues to reverberate throughout the medical and mainstream media today, as well as adversely affecting HIV / AIDS and general health care interventions in Africa. Yet, in 1988 – only 3 years later – the truth came out! SIV was not from Africa! 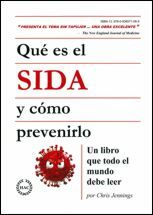 SIV was not a new virus! Rather, what was thought to be SIV was actually another virus, which had contaminated the blood samples of the African Green monkeys [3, 4]. This contaminating virus originally came from Rhesus macaque monkeys. As a species, Rhesus macaques originated in Asia. However, these particular Rhesus macaques were residents of the United States, and lived at the New England Regional Primate Research Center (NEPRC) in Southborough, Massachusetts, where various species of primates were housed and bred for the purpose of medical experimentation [3, 4]. Several months prior to the discovery of “SIV,” a team at the NEPRC had isolated the virus from four sick Rhesus macaques monkeys, and given the Max Essex team a sample [3, 13]. Three years later, another group of investigators compared the genetic structures of SIV (“discovered” by Essex) and the virus from Rhesus macaques. Genetically, the two viruses were 99% identical; meaning they were the same virus. The viruses NEPRC had given Essex had contaminated the blood samples of the wild-caught AGMs in the team Essex laboratory (the blood samples but not the monkeys were brought over from Africa) [3, 4]. Thus, the theory that HIV originated in African green monkeys was instigated by an incident of laboratory contamination! In 1988, Nature, the leading interdisciplinary scientific journal, published a letter by Essex admitting this contamination and its source . Nature also published the genetic analysis that exposed the contamination . However, both the admission and the genetic analysis seemed to pass unnoticed by the medical and scientific community at large – even though Nature followed up several months later with a short editorial entitled “Human AIDS Virus Not From Monkeys” . Nonetheless, 6 months after Essex’s letter of admission was published in Nature, Scientific American – a magazine of far greater distribution – published an article co-written by Essex and his research partner Phyllis Kanki entitled “The Origins Of The AIDS Virus” which featured a full-page, color photo of the African green monkey . Thus, the theory that HIV originated in Africa primates perpetuated. This theory changed over time as the species identified as the source of HIV’s progenitor shifted from AGMs to the common chimpanzee. 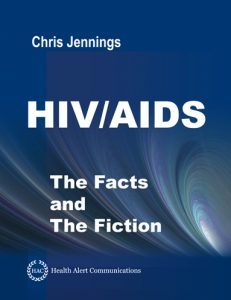 The chimpanzee currently bearing the crown stamped “Origin of AIDS.” 8 To date, dozens of SIVs have been isolated from at least 30 species of African primates, none of them causing immunodeficiency; nevertheless, they all are labeled “closely related” to HIV by the investigators who discovered them [2, 6, 9 – 12]. This categorical use of the misnomer “immunodeficiency” in this crop of viruses reflects the “plight” of virologists. To get funding, it’s best to be working on a primate immunodeficiency virus. The situation is analogous to the height of the ‘War on Cancer’ in the 1970s. At that time, any virologists working on viruses labeled oncogenic (causing or inducing tumor formation) were viewed in particularly favorable light by funding agencies. 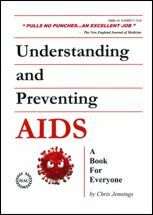 In relation to the current situation with HIV / AIDS, this prerogative continues to afflict HIV / AIDS research funding and interventions across many scientific, medical, and allied professional domains. Given all the known retroviruses “closely related” to HIV derived from primates in Africa, it is ironic that only two primate retroviruses are known to induce an analogous immunodeficiency in their original hosts; and both these retroviruses and their hosts come from the United States. The first is a strain of SIVmac, the aforementioned virus isolated from Rhesus macaques . The second is HIV. HIV infects the primates called humans. SIVmac was isolated originally from four Rhesus macaque monkeys which had an immunodeficiency syndrome with a “remarkable similarity” to human AIDS.14 As with human AIDS, the immunodeficiency experienced by these Rhesus macaques was characterized by opportunistic infections; namely, candidiasis, cytomegalovirus infection, and cryptosporidiosis — all diseases characteristic of human AIDS as well . The appearance of these diseases in humans and Rhesus macaques means that their respective viral infections both damage the defenses of cellular immunity. Cellular immunity defends the body against fungi, virus, and parasites, specific types of infections that flourish during HIV infection. The bacterial defense mechanism, humoral immunity, remains intact during early HIV infection. The initial discovery of SIVmac and “simian AIDS” raised no great acclaim. It was soberly suggested that SIVmac and Rhesus macaque monkeys might be suitable models for experimentation and drug development; an appropriate suggestion, but it was not until after the same virus was “discovered” in African green monkeys that it received any fanfare. An exuberant reader might theorize, given the geographic juxtaposition of SIVmac and HIV, that SIVmac and Rhesus macaques represent the origin of HIV and AIDS. However, SIVmac shares only about 50% genetic homology (‘relationship’) with HIV, and collectively, all the African primate retroviruses share about 50% genetic homology with HIV. SIVmac shares about 75% genetic homology with all the African primate retroviruses. So, genetically, SIVmac is more closely related to the set of harmless Africa primate viruses than to HIV. What makes sense is that SIVmac is actually a virus of African origin brought over generations ago by captured African primates, and the Rhesus macaque monkeys were exposed to this African virus by living in close proximity to these African species within the cages of the U.S. research facility. In truth, HIV stands alone among the primate viruses. All the other primate retroviruses are clustered together; having approximately 75% homology. HIV stands off to the side with 50% homology. However, HIV shares 40% – 50% homology with a set of well-characterized, pathogenic (disease-causing) retroviruses domestic to the United States; namely retroviruses that infect ungulates (animals with hooves): horses, goats, sheep, and cattle [14 – 20]. But the theory that HIV and AIDS originated somewhere “way over there” was more palatable than any research that might associate HIV and AIDS with food and ranch animals. Which, in part, brings us to our current status of misconception. 5. Essex M, Kanki P. Reply to “Comparison of simian immunodefiency virus isolates.” Nature. February 18, 1988 1988;331(6157):621-622. 12. Peeters M, Courgnaud V. Overview of Primate Lentiviruses and Their Evolution in Nonhuman Primates in Africa: Los Alamos National Laboratory, Los Alamos, New Mexico; 2002. LA-UR 03-3564.